6.20.2010 — PEABODY, Mass. — A mulch fire at the J.D. 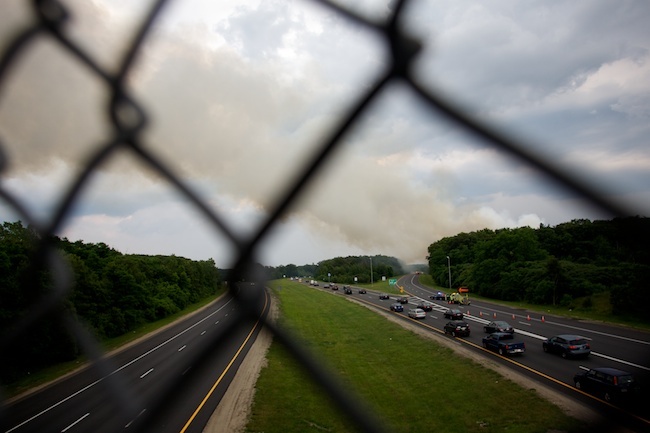 Raymond Co. in Peabody sent smoke onto I-95, shutting down exit 45 southbound on June 20, 2010.